Twinkle, twinkle, little star... In the most charming and sparkling outfit that would take a girl to a dinner date or Christmas party (sorry I know it's still quite a few weeks away, but all the sequins made me think of the prettiness and magic the season brings). I love the idea of this dress - it's warm, beautiful and makes you feel comfortable and free. 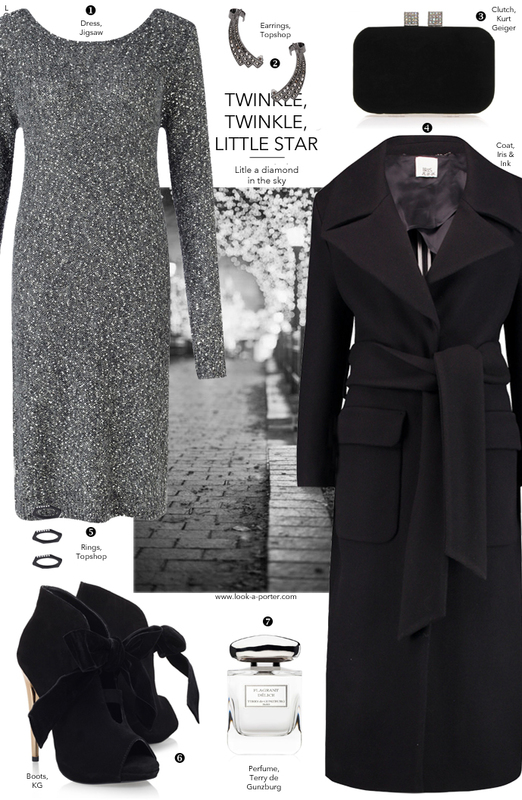 Add the most coquettish boots and get ready to shine!